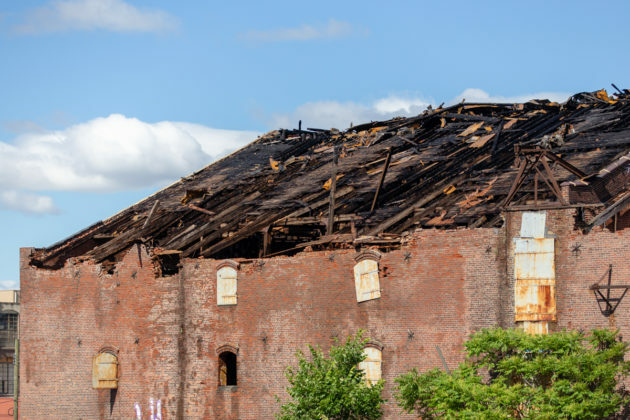 RED HOOK – Fire fighters battled flames at the century-old S.W. Bowne Grain Storehouse building at 595-611 Smith Street Thursday night. The fire started at approximately 11:15pm on the top two levels of the vacant four-story warehouse, according to an FDNY representative. Twelve units and more than 60 fire fighters responded to the scene and had the fire under control by 12:37am. No injuries were reported. Built in 1886, the S.W. 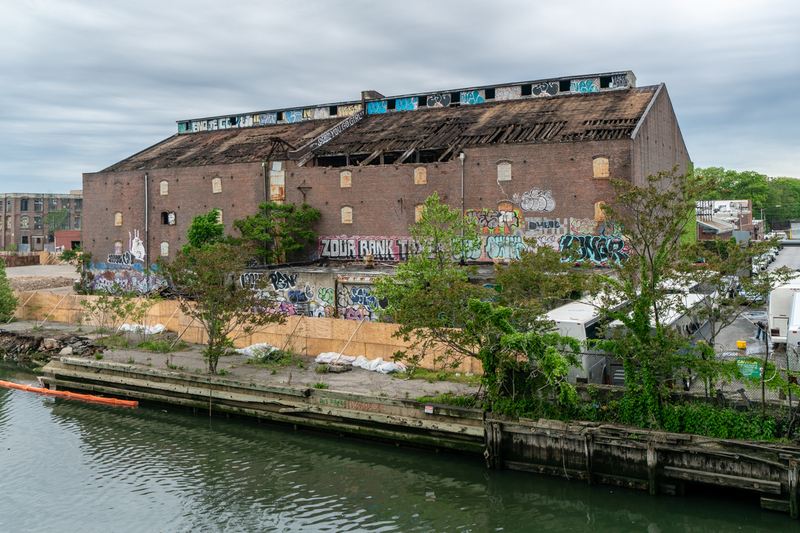 Bowne Grain Storehouse is one of 33 key historic structures in the Gowanus/Red Hook area that a local group is requesting the NYC Landmarks Preservation Commission consider for landmark status prior to the rezoning of the Gowanus neighborhood. 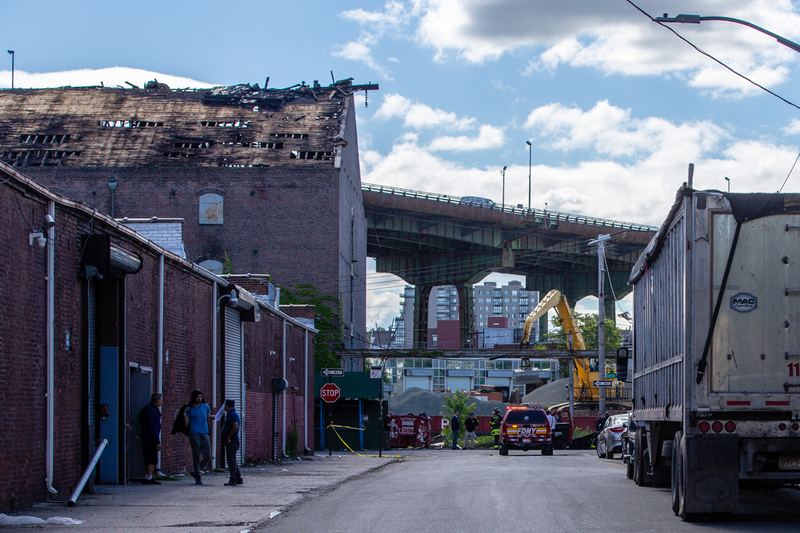 At a press conference last month announcing the list of proposed landmark sites, Brad Vogel, a Gowanus resident and preservationist, mentioned that he’d recently seen a worker with an axe on the roof of the Bowne building removing the shingles, leading him and others in the group to question whether developer Meyer Chetrit was in the process of demolishing the building. 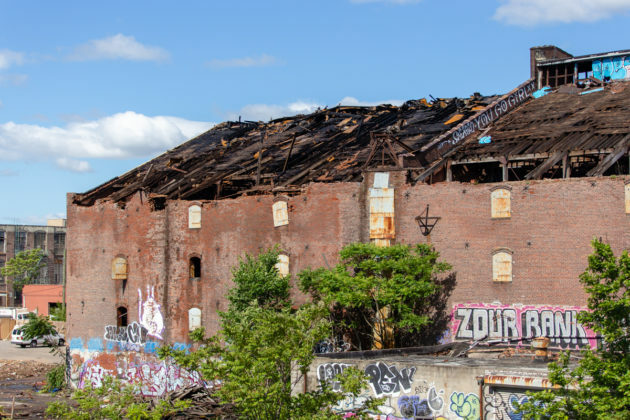 In a June 5 article, Brownstoner reported that the NYC Department of Buildings had not yet issued a demolition permit for any of the buildings on the Bowne site. The cause of the fire is under investigation, according to the FDNY representative.